Congratulations to our winners! Your creativity and hard work shows. 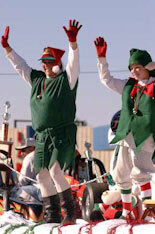 Please note that due to inclement weather, the parade was canceled in 2009. So, we have no winners to report for that year. Even though we did not have the parade, Santa still came on Christmas.